Maritime boarding school just for at-risk boys, dramatized in the Hallmark movie, Safe Harbor – homes for troubled teens and religious boarding schools. For boys age 14-17 who are getting into trouble, we provide a maritime-based, structured educational alternative to those provided in harsher juvenile programs. Boys in minor trouble with the law or who are exhibiting bad behavior or who are disrespectful are taught responsibility, self-respect and respect for others through around-the-clock mentoring and counseling as well as an education. Safe Harbor offers a unique therapeutic program for at-risk boys, who live aboard vessels and learn seamanship and maritime skills while studying for their high school diploma. The program offers exceptional education for teens who are not thriving in their current school. We achieve a very high success rate with these boys, which means you enjoy the peace of mind knowing that your child is receiving the structure, stability, guidance, discipline, love as well as the academic and vocational training he needs. Contact us for our screening application and program description for troubled teens. Safe Harbor is a nonprofit organization that is unparalleled in its ability to create young men of character, integrity, and vision. Each cadet learns responsibility by working and living on their own boat, gaining success in the maritime environment, learning to captain their own vessel and leading to successes in other areas of life. 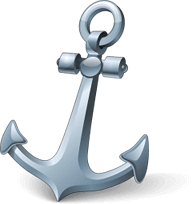 For boys age 14-17 who are getting into trouble, we provide a maritime-based, structured educational alternative to those provided in harsher juvenile programs. Boys in minor trouble with the law or who are exhibiting bad behavior or who are disrespectful are taught responsibility, self-respect and respect for others through around-the-clock mentoring and counseling as well as an education. The dramatic story of how Safe Harbor Academy began 34 years ago was brought to television in 2009 by the Hallmark Channel movie Safe Harbor, which continues to be aired periodically today (or can be seen on Amazon Prime). The academy is similar to a therapeutic boarding school, but it uses disciplined maritime and seamanship training as a therapeutic framework for helping turn around at-risk teenage boys. Safe Harbor features a team of professionals who provide a secure, stable, and structured alternative to harsher juvenile programs or more expensive therapy. Boys in minor trouble with the law or who are exhibiting bad behavior or disrespect are taught responsibility, self-respect and respect for others through around the clock mentoring and counseling. The boys are also given spiritual instruction and character-building principles while also continuing or getting caught up on their formal education through our in-house accredited school. Safe Harbor (the movie) was produced by Hallmark Channel and continues to be shown periodically. Learn what the boys say about the Safe Harbor program. Boys enjoy water activities as they learn in the classroom and on boats. Safe Harbor was founded “accidentally” 30 years ago when a judge asked the founders, Robbie and Doug Smith, to care for a troubled boy on their large sailboat, instead of that boy being sent to juvenile hall for the weekend. The success of that weekend triggered help for more boys. 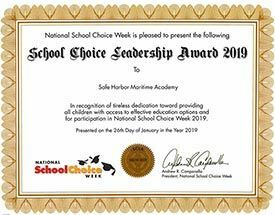 Safe Harbor is now an established nonprofit maritime-based boarding school, teaching discipline and seamanship as a therapeutic model for helping turn around at-risk teenage boys. Safe Harbor provides a safe, structured, and exciting alternative to therapeutic boarding schools and harsher juvenile programs. Help enable us to accept more boys into the program. You can be a part of helping sponsor a child and help his family through a tax-deductible gift or a boat donations to Safe Harbor. We can also help you in your search for other group homes for teens, teen counseling services, military boarding schools, traditional schools, Christian boarding schools or teen boarding schools. If you are searching for troubled youth homes, troubled teen schools or troubled teen boarding schools, you have found one. Homes for troubled teens and boarding schools for teens don’t typically offer teen counseling and therapy, but we do. Safe Harbor is among the top therapeutic schools, our therapeutic boarding schools for boys. This one of few residential treatment centers and residential schools for teens that is affordable. As a home for troubled boys it serves at-risk boys from the southeast and in Florida cities like: Jacksonville, Miami, Tampa, St. Petersburg, Orlando, Hialeah, Tallahassee, Fort Lauderdale, Port St. Lucie, Pembroke Pines, Cape Coral, Hollywood, Gainesville, Miramar, Coral Springs, Clearwater, Miami Gardens and Palm Bay. We help boys in Georgia, in Kentucky, in Tennessee, in Missouri, in Louisiana, and in Texas, and in the Midwest in Michigan, in Ohio, in Indiana and in Illinois. Also, troubled teens from homes along the east coast including in Virginia, in North Carolina, in South Carolina, in Pennsylvania, in New Jersey, in Massachusetts and in New York are provided counseling and therapy.